Recruiting resellers to grow your software business can be a challenge, especially if you don’t know where to start. Building a channel takes time, preparation and research to understand the markets you want to address, and how you can entice resellers to want to partner with you to help you expand beyond your borders. Despite popular belief, resellers and value-added resellers (VARs) are not out there just waiting to get their hands on your product; you are going to need to convince them to want to do so, and for that, you need to create a program that’s focused on them. This is a question that any buyer is going to ask, but resellers ask it to. They want to ensure that if they take on a new product to sell, they’re going to benefit from the relationship. They want to be sure they’re going to generate revenue for their own business, and guarantee a decent margin. And it doesn’t suffice just to say “You’ll make money on our product.” You need to prove it. When developing a partner program, the hardest part is finding the patience to plan things out step by step. The important thing to realize is that when developing any kind of partnership, it’s an investment in the future; but you can’t expect that the relationship will suddenly have a huge impact on sales. All ISVs think that their offer is so unique that it will revolutionize the market and that it will become an instant, viral success. 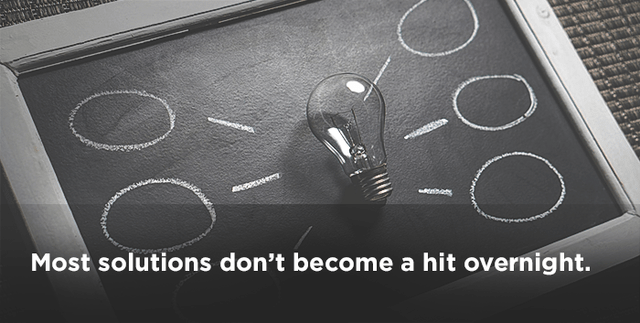 While we wish that for every software vendor we work with, the reality is that most solutions don’t become a hit overnight, but take months of hard work and planning to take off. Not all resellers are created equal. Some have more resources than others; some can add value to your solution by adding-on services. The first thing to do when developing a reseller partner program is to understand the types of resellers that have the most potential for both your business and theirs. The nature of your solution should help determine this. So now that you know the type of resellers you are looking to attract, where can you find information on those companies both on and offline? Are they part of a particular group or forum? Do they attend an annual industry trade show? Are they susceptible of having other types of partners, and if so, which ones? How can you tap into those networks and get your message across to your audience? All of these questions should help guide you when conducting an audit, which should be the framework for your strategy. It is highly unlikely that resellers will just come to you; you need to proactively reach out to them to show them how they can benefit from reselling your product. This can be done through a combination of inbound and outbound marketing tactics, but first, you need to know what channels to tap into. Not only are you going to need content to convince the reseller to sell your solution, you are going to need content for the reseller to address the end-user customer. Start off by listing out all of the content you are going to need including an overview of partnership benefits, cost structure, FAQs, and all the possible ways that the reseller will make money off of your solution, how your solution helps end-users, and how your offer can help compliment their own. If your partnership program will provide co-funding for marketing outreach campaigns, that is also a key area to highlight: How will it work? What can they expect to get out of it? What do they have to do in exchange? Creating a workhorse brochure is a great starting place because it’s a kit that can easily be updated as needed over time. Think of it like a folder with inserts (one-pagers) that you can put in or take out as needed. It’s the perfect starting point because you won’t need to reprint an entire brochure if you want to modify just one part; this is especially helpful when attending trade shows where you’d like to leave a take-away document behind. The workhorse brochure becomes a “package deal” defining the ins and outs of the partner program, but it can be used for other purposes as needed. Of course you can create an online version in addition to a printed one that you can bring with you on face-to-face meetings. Having success stories that you can showcase to other potential resellers is also a great way to bring your value home to them. If they can see that other people are out there benefiting from a partnership with you, they will take you much more seriously. Some solutions are just not adapted to the needs of certain local markets. Is yours? You can’t know for sure until you ask around. Market research, surveys, and local presence can help determine what changes may or may not need to be made to your solution in order to make it work for end-users in other countries. Are there features that need to be added, or that are not necessary? Are there compliance issues that need to be taken in to consideration? Will users use your solution in the same way regardless of their background, social status, or nationality? Do you need to have a localized version of your solution? Again, resellers are not going to take on a new product to resell if they don’t see the potential it has in the markets where they are present (or want to be present in). Therefore, you need to know those markets so that you can adapt your solution accordingly. If you help the reseller sell your product by co-financing marketing outreach programs, the reseller will see you are committed to the cause. Resellers want support, and that can come in the form of marketing initiatives. Co-sponsored events, database building, lead generation campaigns, and email marketing can all help your resellers to start engaging with promising prospects. You can also provide co-branded content specifically for your reseller if they are unable to create it themselves. Your support to help them sell will help ensure that the reseller actually does. It’s important of course never to put two partners in competition with one another; sometimes, exclusivity by selecting only 1 or 2 resellers to cover a particular geographical zone (or vertical activity sector) will actually be beneficial to your growth, rather than having many more who wind up stepping on each other’s toes. Giving incentives for your reseller to sell more product by implementing levels of partnership (silver, gold and platinum for example), linked to a system of rewards, can be a great way for them to reap the benefits of their success. Once you have a wide network of resellers, you can host events for partners, awarding them with particular recognition for a job well done. You may also want to think of adding a mentorship program, by putting new resellers in touch with long-standing ones as a way of learning best practices. When partners feel that they are all in the same boat, they are more likely to row in the same direction together, rather than affronting one another in direct combat over potential clients. Building a successful partner program starts with a sound foundation. Understanding your target market, your desired reseller audience, and knowing what messages will attract them to join your team is key to growing your business outside of your immediate geographical location. In order to do it right, organization and proper planning is key. Don’t be in a rush to get your product in the hands of any reseller who will take it; instead, spend the time needed to do it right.